In Ancient Greece, there were four words for love… Eros, Agape, Storge and Philia. Philia stood for deep friendship and affection. It represented a mutual heart to heart connection that gave rise to fondness between people. Aristotle considered philia to be a necessary ingredient for happiness. He was quoted as having said, “no one would choose to live without friends even if he had all the other goods”. 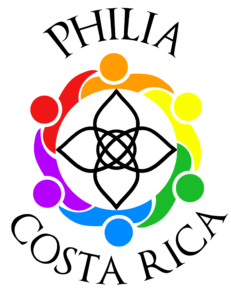 Philia, as the name suggests is a sacred space where healing occurs first and foremost through connection. It is our intention that at Philia, each person will experience new depths of interpersonal connection, emotional intimacy and relationship. In today’s fast paced and abrasive world, most of us spend our time on guard. We cannot truly be ourselves and let others really see into us because we don’t feel emotionally safe around other people. Philia is a place where people can be emotionally safe enough to dropping their masks and allow their full vulnerability to surface and to be held by others. As a result, by visiting Philia you are opening yourself up to genuine heart to heart connections and friendships that can last a lifetime with both other guests and the people who live and work at Philia. The staff at Philia are all trained to be completely emotionally present with all guests as well as to facilitate The Completion Process. Many people who visit Philia, come to take a break from life. However, we often find that we end up taking all of our emotional baggage on vacation with us too. This is expected at Philia. At Philia, when emotional triggers surface, our certified practitioners are available to support and guide you through the past trauma that is surfacing so that you can create a new life as a result, free from limited beliefs and fears. Philia is an epicenter for sharing some of the most advanced spiritual knowledge, practices and programs. At Philia, we also cater to your physical health with nutritious and invigorating vegan meals that limit the contribution to suffering on our planet. 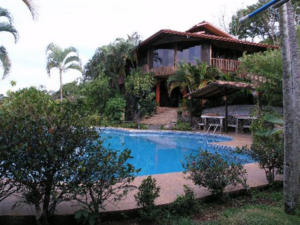 Located in beautiful Central America, in addition to our own practices, programs and activities, Philia is located in Atenas, Costa Rica that is known to have the best Climate in the world according to a 1994 issue of National Geographic. It is a place with outstanding views where all life flourishes, whether it be human, animal, mineral or plant. A quick ride away there are many other activities that are unique to Costa Rica such as canyoneering, hiking, scuba diving, rain forest adventures, zip lining and rafting. 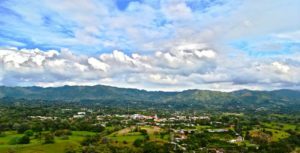 As well as the opportunity to explore local beaches, hot springs and the incredibly diverse and exotic wildlife that call Costa Rica home. Philia was created by the Spiritual Luminary, Teal Swan in December 2016. 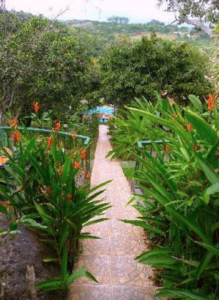 Her vision was to build a retreat where people could awaken, heal and come alive in an atmosphere that is centered on human connection. Today, that vision is a reality. Come and join in our dream today. 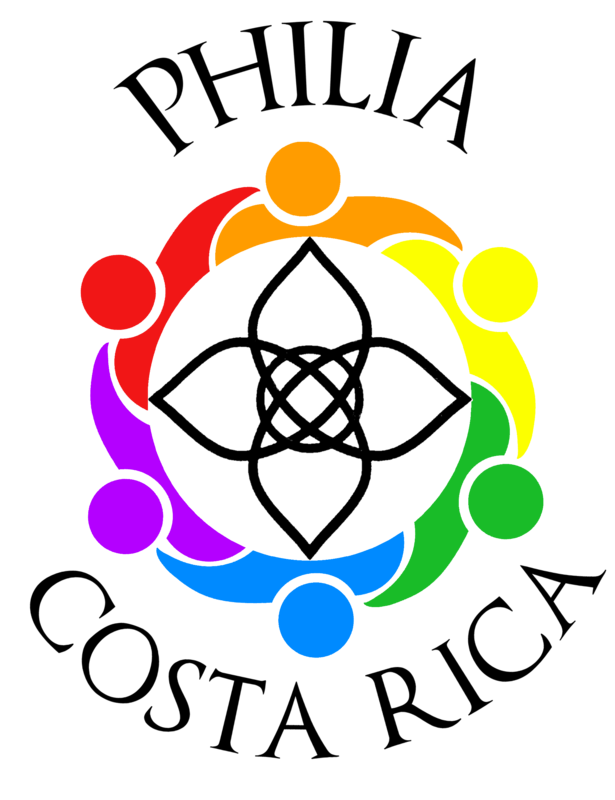 At Philia Center we are part of the ebb and flow of the energy, part of the land and part of Costa Rica herself. Things are slower and patience isn’t just a virtue here, it’s a way of life. Of course we use that to our advantage at Philia because we want our guests to come here and unplug, to feel safe and held by the land and our team. For this reason, Teal has deliberately designed Philia from decor to flow to aid in the work we do here and to provide the utmost feeling of “home” and safety. When guests are welcomed through our iconic blue gate, they are immediately welcomed home. Philia is an older property and she has her quirks, but her character remains beautifully nurturing and her power to heal runs deep. The furniture is an amalgam of classic tropical design and Teal’s own personal keepsakes. Crystals have been placed specifically by the Spiritual Luminary herself to invoke certain frequencies and shape the energetic flow of the property. As this new intentional business community hybrid, Philia is breaking new ground when it comes to hospitality, consciously growing to meet the needs of our guests as well as our community members. We invite all people here to contribute their ideas and experiences to continue to help Philia be that beacon of healing and inner-journeying that Teal Swan envisions. We at Philia Center welcome you home. We invite you to stay with us with an open mind and a warm heart, and we support you to be yourself and join us on this collective journey of self-exploration and awakening.